Full name: Justin Lee Walker. Birthplace: Stourbridge West Midlands, UK. Family: Mother Christine, Father John. Justin Walker was another of Cradley's British Junior League succes stories in the late 80s. 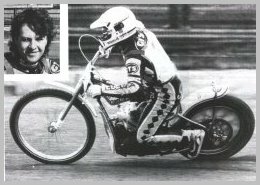 After leading the PJ Dixon Junior Heathens, he eventually earned his first team break in 1988, making three official plus two challenge match appearances. Either from the Number eight position or as temporary cover in the reserve berth, he clocked up a total of 9 points in those five matches and was given a semi-permanent chance at the beginning of the following season. After starting out at reserve alongside John Bostin, one of the junior pair had to make way for the inevitable inclusion of a young American prospect by the name of Greg Hancock after the first set of green sheet averages. Bostin had edged the point scoring competition to date and kept his place while Walker returned to plying his trade in the junior team for the time being. Those 10 appearances of 1989 were to be his last for the Heathens senior team for more than three years. It wasn't until June 1992 that Justin made his return in place of the retired Mark Robinson. His time inbetween had been spent in the British Junior league and the old Second Division - or National League as it was then - most notably with Milton Keynes. Unfortunately, his place in the Cradley side was gone again almost immediately after losing his place to the signing of Andy Phillips after just two matches. He did briefly return for another three appearances at the end of the season covering for the injured Andy Grahame. In both '93 and '94, Justin was left out of the original Cradley side, but on both occasions he was to make a fairly quick return to the saddle. 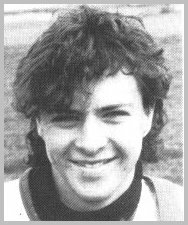 First, Alan Grahame picked up an injury, followed by a clutch of other team changes which saw Billy Hamill recalled to the side. Amidst the chopping and changing, Walker kept his place ahead of Anthony Boyd and stayed for the rest of the season. He rattled up his best away score in the Dudley Wolves Trophy and finished the league season with his best points score for the Heathens with nine. Despite this he was released during the Winter, only to be drafted back into the 1-7 when Dave Clarke suffered a serious injury in May. That year proved to be Justin's final one for Cradley. He never fulfilled the promise of the end of the previous season, and after returning from a minor injury in October, he was dropped from the team. After a career total not far short of 200 points in all matches, he retired from the sport soon afterwards.